They know you have a busy life, but you still enjoy cooking at home! That’s why they’ve created a range of amazing accessories – so your time in the kitchen can be used as efficiently and as wisely as possible. They’ve developed products that anticipate potential problems in the kitchen…and save you ever having to face them! Equal parts beautiful and functional, this All-Purpose Cruet has been made from break-resistant borosilicate glass for just about anything! Use it to stylishly display and dispense infused oils, flavoured syrups, liqueurs, dipping sauces and more. 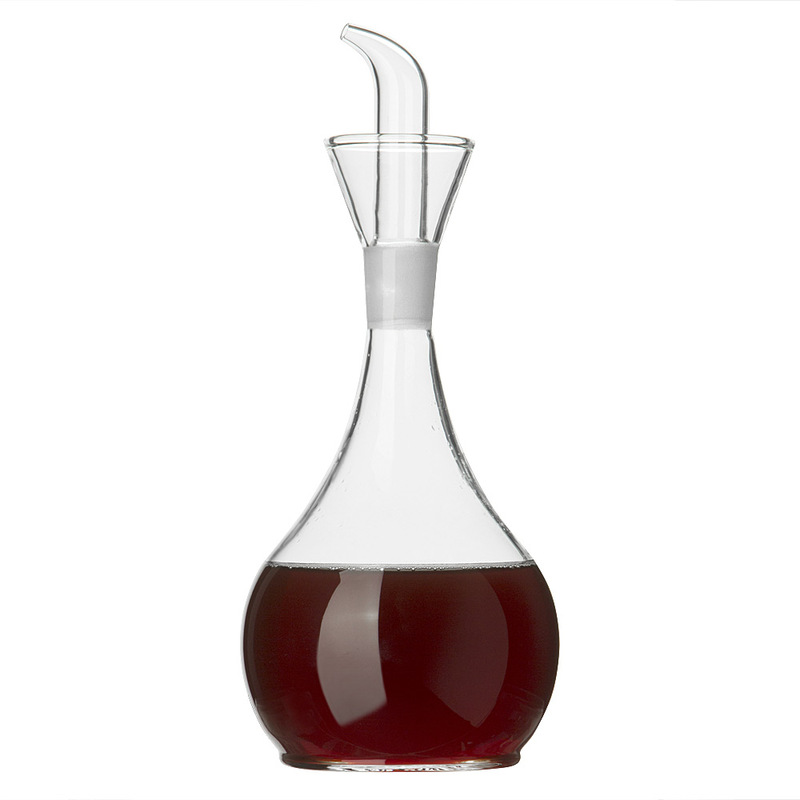 A precise pourer is joined by a collar that catches drips at the base of the cruet, for a clean serving experience. Made from break resistant borosilicate glass. Dripless pour spout with ground stopper. Collar at base catches liquids, so it won't leave rings on your counter.